To date, lawmakers in six states - Hawaii, Maine, New Hampshire, Pennsylvania, Rhode Island, and Vermont - have either pre-filed or introduced legislation to legalize marijuana consumption for adults. On Friday, members of Hawaii's House Judiciary Committee will hear testimony regarding House Bill 699, which seeks to tax and regulate the commercial production, sale, and use of cannabis by those persons age 21 or older. House Chairman, Rep. Joseph Souki, is sponsoring the measure. Nearly six out of ten Hawaii voters believe that cannabis should be "taxed, regulated, and legalized for adults," according to a statewide poll published earlier this month. Only 39 percent of respondents opposed the idea. On Election Day, 55 percent of voters in Colorado and Washington approved citizens' ballot initiatives legalizing the adult consumption of marijuana and authorizing the state to license individuals to commercially produce and sell it. 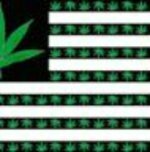 "Calling for an end to marijuana prohibition is no longer a political liability; it is a political opportunity," said NORML Deputy Director Paul Armentano. "Never in modern history has there been greater public support for ending the nation's nearly century-long experiment with cannabis prohibition and replacing it with a system of legalization and regulation. Politicians who are seeking to amend this failed policy are aligning themselves with the majority. Those who do not are siding with an ever decreasing minority of their constituents."